If you care about the foods you and your family eat, then this is the book for you. Food is crucial for our survival - we all know this. We also know that eating good food enables us to live longer and enjoy an active and healthy existence. However, today’s environmental challenges and our faster paced lifestyles can impact adversely on our health and wellbeing. Now, more than ever, we need to make a concerted effort to gain a greater awareness about our food choices. This book will open your eyes to some real truths about the foods we eat and how easily we can improve on the quality, nutritional value and taste of fresh produce. Clare Voitin’s farm on the Bellarine Peninsula in Victoria has been her greatest teacher. The knowledge and experience she has gained over the past 18 years has been an incredibly rewarding journey and one that has changed her life – and that of her family - forever. 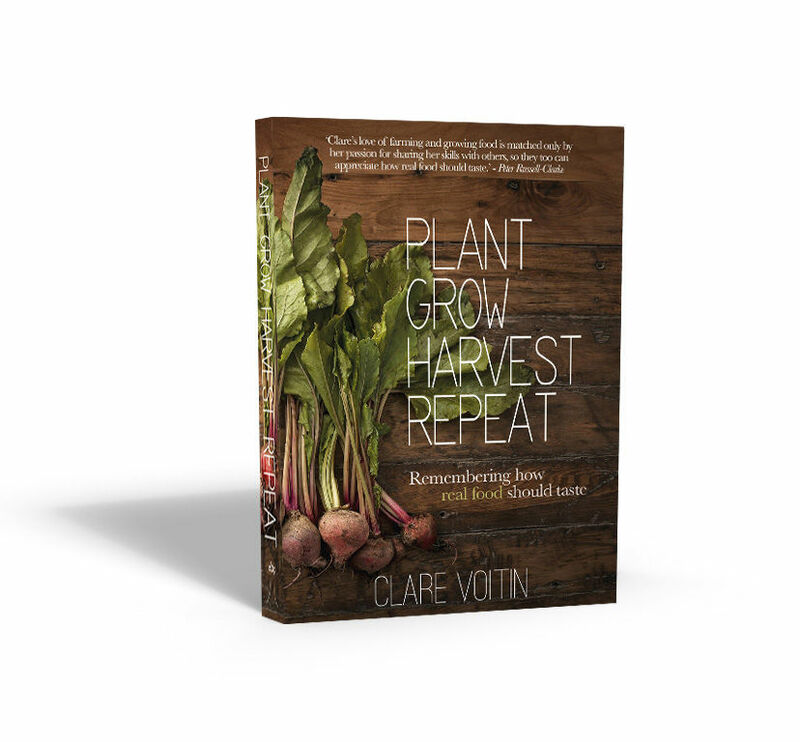 If 'Plant Grow Harvest Repeat' can enlighten the reader on how to enjoy tasty and nutritious food and inspire them to put “Paddock to Plate” in their own backyard, then Clare’s job has just begun. Her ultimate goal? To see people grow more food in their backyard, balcony or windowsill, seeing children embrace our natural world, and help families reconnect through a love of growing food.